SINCE IT OPENED in 1999, the Peppercanister Gallery has pursued an interesting exhibitions programme, alternating early and later modern and contemporary artists, predominantly Irish or with strong Irish connections. It has also championed several relatively neglected, sometimes underestimated figures, such as Robert Janz, Sonja Landweer, Deirdre McLoughlin, Breon O’Casey and Joseph O’Connor. It was launched as a partnership between mother and son Antoinette and Bryan Murphy. With her husband Pat Murphy, Antoinette is an art collector of long standing, and from early on Bryan shared his parents’ enthusiasm for art. 50 Years of Modern Painting is a compact survey show reflecting this lengthy family involvement with Irish art and in particular Bryan’s close personal engagement with the work of painters from the mid-20th century to the present day, encompassing figures beyond the gallery’s own stable of artists. The earliest piece in the show is by Camille Souter and dates from 1961. The most recent – just completed, in fact – is Liam Belton’s The Last Time I Saw Paris, a still life in a crisp, realist manner. But landscape is perhaps the main strand of subject matter in Irish art – its default setting – and it’s naturally central to the Peppercanister’s show. Three other areas are evident too: the human figure, including portraiture – abstraction, and interiors. ANDREW VICKERY is best known for his sequences of narrative paintings about journeys. There is an appealing storybook quality to them, but they also withhold information. We rarely see the people or the interactions implied by the images. By contrast, the series of character portraits showing in this exhibition focus on the people, casting each individual in a role defined in terms of profession, vocation, family or emotion. Again, Vickery’s style is simplified and approachable, and each work hints at a potential story. Also featured in the show are Graham Gingles and Neil Shawcross. The latter is one of the best-known portrait painters per se in Ireland. He too has long employed an informal, conversational, graphic style that cheerfully embraces elements of caricature and whimsy, all in the cause of conveying a subject’s character more vividly. Gingles, best known for his intricate box sculptures, is an exceptional draughtsman, approaching his human subjects with incisive precision, often on a miniature or close-to-miniature scale. GAVIN O’CURRY’S Spruces (2011) is a big monochrome study of a forest of spruce trees on a mist-wreathed hillside, an image that evokes the spirit of Casper David Friedrich. It is typical of a great deal of contemporary painting in using a second-hand visual source and making clear that it is doing so. Rather than trying to disguise its documentary photographic origins, the painting highlights them, inviting us to speculate about representational style and meaning. By comparison, Sean McSweeney’s Shoreline, Ballyconnell (1987) clearly emerges from the painter’s prolonged, attentive familiarity with a specific place. It’s a direct, nuanced response rather than an investigation of artifice. Somewhere in between, perhaps, is the Barrie Cooke work included. Dating from the mid-1970s, it is one of the extraordinary rainforest landscapes made following a sojourn in Borneo. In the dense linear patterning of the paint surface, Cooke suggests the rainforest as a labyrinthine network of interconnected organic processes. This analytical approach to the landscape prefigures his subsequent treatment of Irish-landscape subjects in relation to environmental pollution rather than traditional picturesque concerns. LIAM BELTON is one of Ireland’s foremost academic painters, and has built a considerable following for his meticulously realistic still lifes. They are characterised by his liking for very formal compositions and a spare, almost monochrome palette, with an emphasis on white or, more accurately, whites. He also likes to build allegorical hints into his work. The Last Time I Saw Paris, painted this year, simply marshals a number of items from the city in a tightly organised arrangement. Graham Gingles could also come under the heading of interiors given that his sculptures are rooms within rooms, infinitely recessive interiors packed with myriad images and objects that hauntingly suggest the strange workings of memory. Galway-based painter John Brady’s small, intensely chromatic works are based on interior spaces. That may not be immediately evident as he seems to begin with a straightforward image of, in this case, an art gallery and overlay it with areas of colour that convey an emotional response to the space. PERHAPS SURPRISINGLY, abstraction has flourished in Ireland, even if there are often associations with aspects of landscape in otherwise purely abstract works. Camille Souter’s Pale Shapes (1961) is a case in point. A wonderfully warm arrangement of forms, it came at a time when landscape, still life and human subjects were increasingly finding their way into her pictorial language, a language that had strong links to Abstract Expressionism. Here, it is in texture and shape that we sense a world beyond the composition itself. No such ambiguity is evident in the work of Albert Irvin, Ciaran Lennon, Richard Gorman or Makiko Nakamura, although none of these artists would discount the importance of the real, outside world in their painting. For Gorman, the world as embodied in his sensibility and awareness is always there in the process of making a painting and is inescapably part of what we see. Nakamura’s rigorous abstracts with their lustrous surfaces are partly – but significantly – about time and memory. His son Breon was to become established as both a painter and a sculptor, and despite becoming familiar with Ireland quite late in life, his work was strongly influenced by Celtic mythology and motifs. Recognition didn't come without struggle. Initially Breon worked as a jeweller, mostly in silver and gold, and his pieces achieved huge recognition and popularity internationally, influenced as they were by the iconic artifacts of Alexander Calder (whose work was on show recently at the Irish Museum of Modern Art). O'Casey was a supreme exponent of the cross fertilisation between art and craft, working for some years as a weaver of art rugs, with a pragmatic preference for seeing them on the floor rather than hung on walls. But even the success of his craft wasn't enough for a living, and he worked for many years as a telephonist, abandoning it for full-time art only in his 40s. 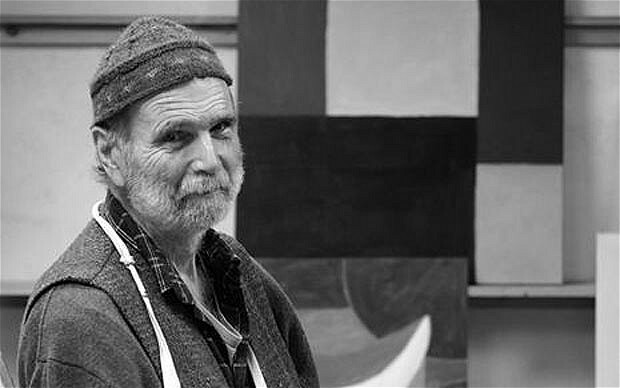 His breakthrough as a painter came in a London show in the Sixties, when he showed with his friend and sometime mentor Denis Mitchell at the Signals Gallery, moving a couple of years later to have two enormously influential and successful solo shows at the Marjorie Parr Gallery. 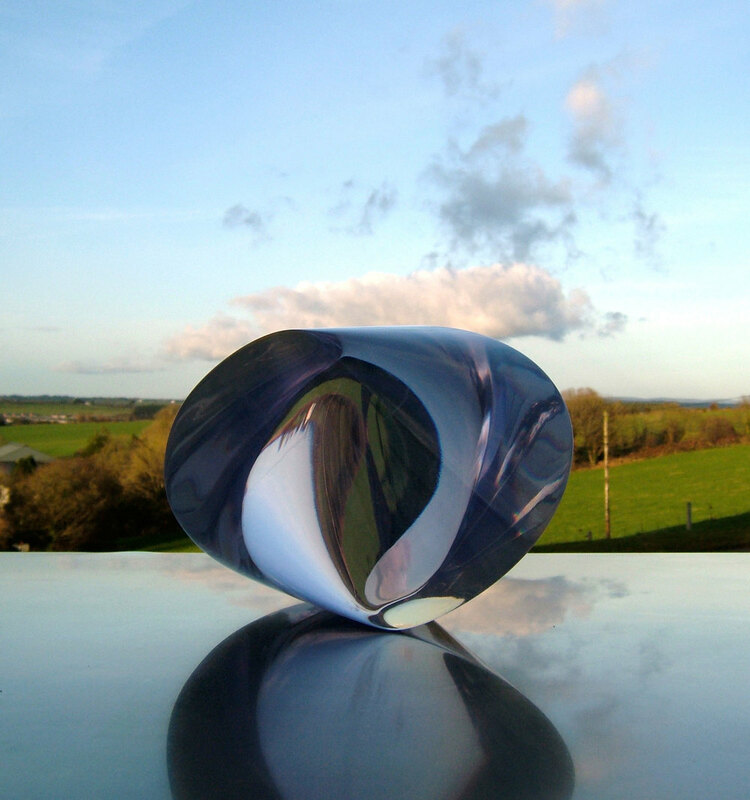 O'Casey's early work had been somewhat dark, perhaps reflecting his struggle to become established, but it became lighter over the years while still maintaining a strong influence from nature, and when he abandoned jewellery-making about 15 years ago in favour of sculpture, that work too maintained a simplicity that reflected basic sources of inspiration. In later years O'Casey exhibited with the Berkeley Square Gallery in London and with the Peppercanister Gallery in Dublin, maintain-ing a steady output despite increasingly frail health which severely restricted his movement. Breon O'Casey was 83 when he died peacefully in Cornwall a couple of weeks ago. The Peppercanister Gallery's Christmas Exhibition puts the spotlight on small to medium sized contemporary works from artists including Basil Blackshaw, Brian Ballard, Liam Belton, Neil Shawcross and Andrew Vickery. There will also be sculpture from Robert Janz, Eileen MacDonagh and Breon O'Casey, and jewellery by Duibhne Gough and Sonja Landweer. Twisting and turning, light bounces off its reflective curves and it resembles a tear drop fallen out of this blue sky. Derry artist O'Connell uses a wide range of materials in her work and the results range greatly in scale, but all share developing themes of geometry, archaeology and architecture. And this distinctive sculpture features in a major exhibition of contemporary sculpture, 'Wall & Plinth', opening next Thursday at Dublin's Peppercanister Gallery, www.peppercanister.com. O'Connell is just one of a number of important artists on display and her piece will be joined by works by the well-respected likes of Sonja Landweer, Carolyn Mulholland, Graham Gingles and Robert Janz, who will be exhibiting cast bronze versions of one of his delicate mixed-media figures. Work will vary from the figurative, by John Behan, Breon O'Casey and Robert Janz, to the abstract, by Michael Warren. This show will also have the premiere outing for two major pieces by succesful Argentinean artist Adolfo Estrada. And the gallery will be exhibiting the work of two Irish artists for the first time; established ceramicist Deirdre McLoughlin and budding sculptor Sharon Lynch.